We love briolettes here at Kernowcraft and they're so popular with our customers too. Not only do they come in a beautiful range of gemstones but they always make jewellery designs look amazing. 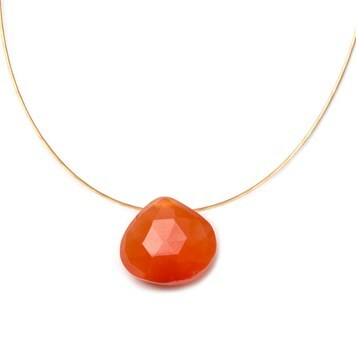 A briolette is an oval, pear shape or tear drop shaped gemstone cut with triangular facets. They are versatile, elegant and unique. 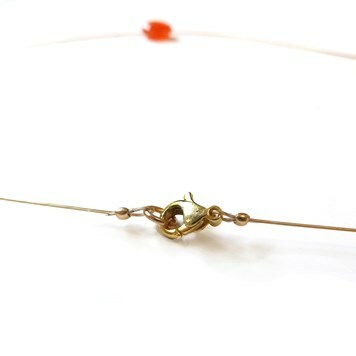 We have used briolettes in many designs, but one of our favourite designs is to quite simply thread one on to a necklace. They hang perfectly on your neck with the facets catching the light, attracting compliments and also lending themselves to so many outfit styles. View our range of gemstone briolettes and full range of stringing threads, tools and findings to design your own necklace or earrings. Sometimes the simpler the design, the better! Which is why we love this necklace idea. It is so easy to create and can be modified to give a personal twist. We have made the briolette necklace a number of ways, using different threads, wire and clasps, giving you a choice of ideas on how to make your own necklace. For more inspiration take a look at some of our 'Make The Look' jewellery designs - there a many step by step designs using a variety of our lovely gemstones briolettes. 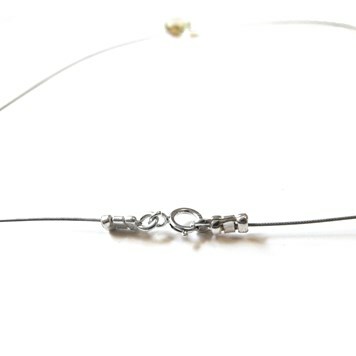 Made using a ready made necklet wire which couldn't be simpler to use! 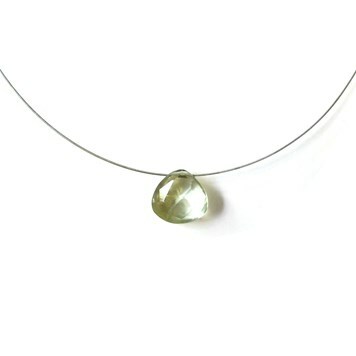 It's simple design leaves the beauty of the briolette gemstone to speak for itself. Made using gold plated flex-rite wire, crimps and a caribiner clasp. Attaching and finalising the crimps in this design is much easier than than it may sound! Especially with our magical crimping pliers. 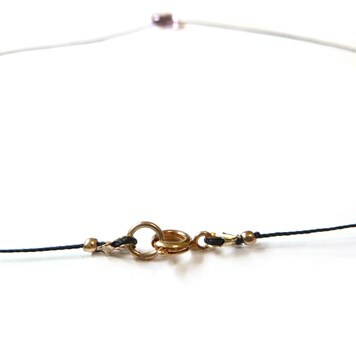 The subtle shine of the 24K Gold Plated Flex Rite Wire really compliments the elegance of the briolette in this design. Made using black silkon thread, crimps and a bolt ring. 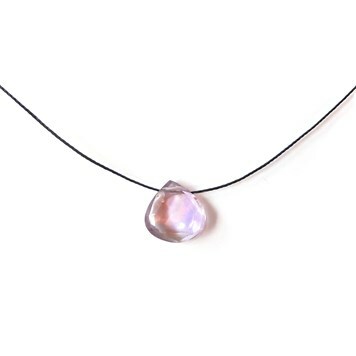 The contrast of this design helps to bring attention to the beautiful Pink Amethyst briolette. It stands out from the crowd and again, the crimps and bolt ring used in this design are really easy to secure. 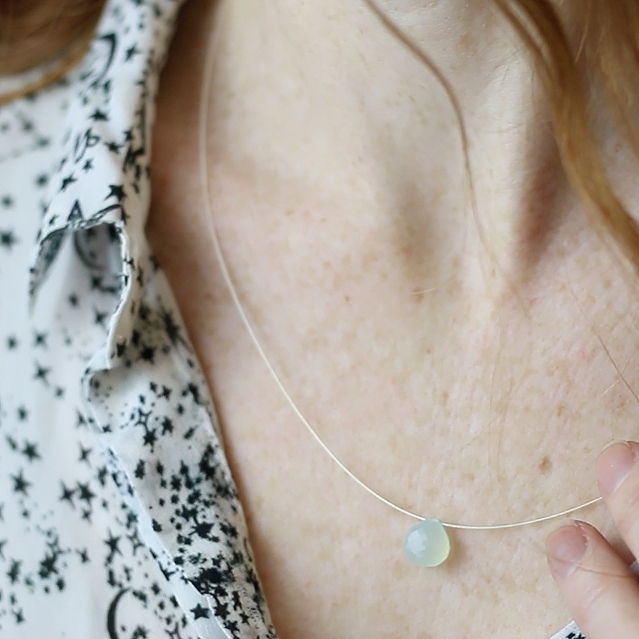 Follow our jewellery making projects on our Make The Look section, bursting with loads of tutorials to try - perfect for both beginners and hobbyists! Each project also comes with a handy shopping list, making it really quick and easy to get started on your next design!